UPDATE – Pass My Parcel service now also available at Jubilee Place store! Internet shopping is amazing, at the click of a few buttons you can buy pretty much anything and have it delivered promptly, in some cases even that same day. However, for many people who lead busy lives it’s just not possible to be home to accept the delivery, which is hugely frustrating and leads to anxious phone calls as you attempt to arrange another delivery. At NEWS on the WHARF, we offer various parcel services that take the stress away. Have something to return? Do it via our stores. Job done! We’re open 7 days a week, 363 days a year and are always happy to help. Shopping at your fingertips, collection only a lift ride away! Just please don’t order a 3 piece suite or washing machine! It’s official! 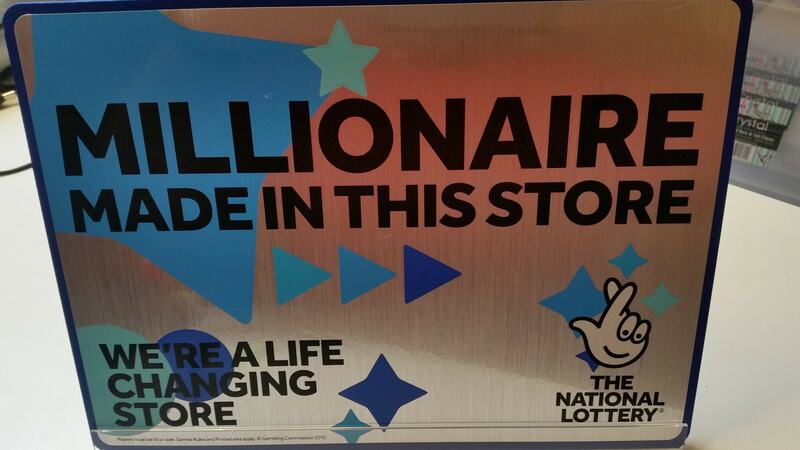 Cabot Place West store has recently made someone a millionaire!